Another week gone by of Summer Term here in Oxford and in classic British style it appears the weather canâ€™t decide what to do with itself. The Saturday club run went off well again, with one of our members showing the benefits of dropping his cigarette habit to promptly try and drop everyone else on the ride. In the meantime the medics from the club were continuing to pretend to do some work by completing a complete 315km lap of Majorca amongst their hectic schedules, not that the rest of us are jealous at all. 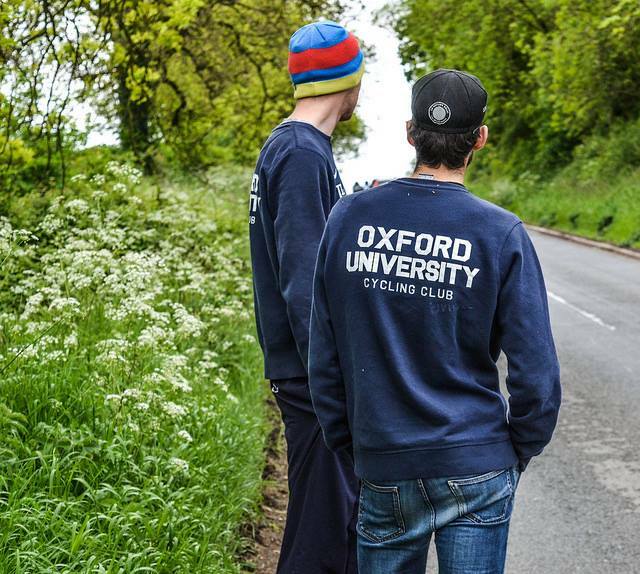 The weekend saw the last of the BUCS events for us for this academic year, with the BUCS Road Race being held up near York. We sent a contingent up their including James Lambton, Isaac Mundy, and Tamara Davenne to actually race the road race, and their posse of Daniel Alanine and Alasdair Morrison to act as soigneurs for the weekend. Tamara continue her strong run of almost podiums by taking 4th in the Road Race again, while Isaac was 8th and James 13th in a very strong E123 field, a great result all round. While the others were getting ready for the races, the support crew took the chance to head out into the hills for what sounded like an epic ride, more from Alasdair about that in the next post. The next day had the BUCS Crits which everyone had a go at, some great results from the crit too, and everyone avoided crashes in the race itself, though Dan inexplicably managed to crash while warming up (again). Other than that weâ€™ve got another Strava Segment of The Week going on currently, see the newsletter for more details. The next aim for most of the club is to get through exams and then out enjoying the Sunshine. The road squadâ€™s next aim is the Bristol GP in mid-June which weâ€™re sending a strong group to. Weâ€™re getting details together of a Summer Tour around Scotland too for those that would love an excuse to do nothing but ride their bike for a week, so watch this space. Finally a quick mention for Angus Fisk who appears to have the stage racing bug and is lining up at a 3 day stage race in Australia this weekend, good luck! Until next time, happy riding!